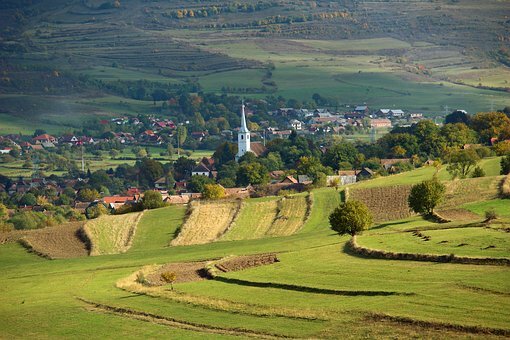 Emigration of the workforce represented by young people is becoming such a difficult problem to tackle in Transylvania, Romania. Therefore the city of Sfantu Gheorghe has initiated a program where free land, Wi-Fi and other benefits for larger families are offered to those people who decide to return home and settle there. The beneficiates of the program will find not only a detailed list of benefits, how to apply and what the program entails, but also success stories of those who have already returned home. The city of Sfantu Gheorghe helps young people who are planning to or who have already returned home by providing useful information on the papers needed for applying for the program, along with the medical, educational, cultural and economic services. Families are presented with four different house plans to choose from and to build on these lands, and ten years from the completion of the house, the families can buy the land as their own. Since Romania has become an EU member in 2007, 1/5 of the workforce has left the country – 18.2% of Romania’s population lives abroad, and the UN expects a further 15% decrease of the population by 2050. All the while the number of the 3.6 million diaspora is growing year by year.